Maura and I took a walk around town today, and it is humid! It's the kind of weather that makes me wish I was on the beach or at least at the swimming pool! It's a great time of year for ocean critter brooches, and I have a great selection in my Etsy shop. All of my brooches are hand cut from scrap wood and hand painted with care. 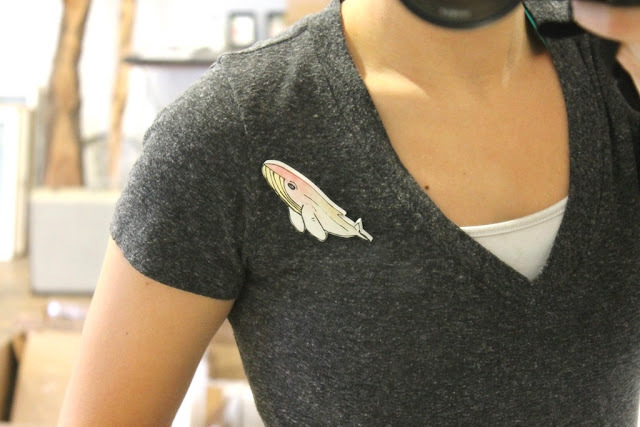 This whale brooch is one of my favorites!